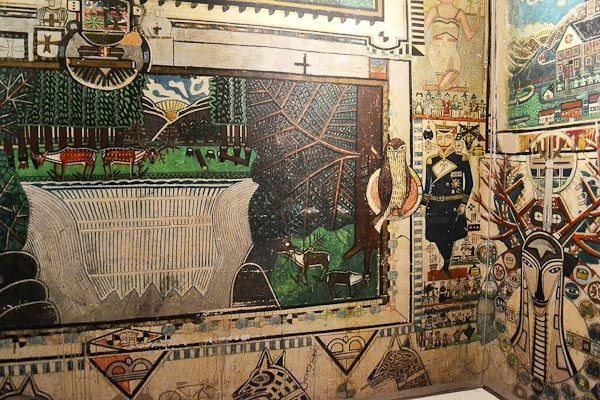 The artwork covering the walls of this psychiatric hospital cell is that of Julius Klingebiel (1904-1965). The former German army mechanic was arrested in 1939 for killing his step son and shortly after got diagnosed with paranoid schizophrenia and was hospitalized. Soon he began decorating the cell where he stayed, at first using a paste made from toothpaste, coal, wood and stone. When the nursing staff noticed the calming effect he got from painting they supplied him with proper paint and a brush which he used to cover all the walls of cell #117. The paintings featured animals, (military) people, ships, heraldic motives, national-socialist topics and roman-catholic imagery. After his death in 1965 the hospital preserved his cell as it was. 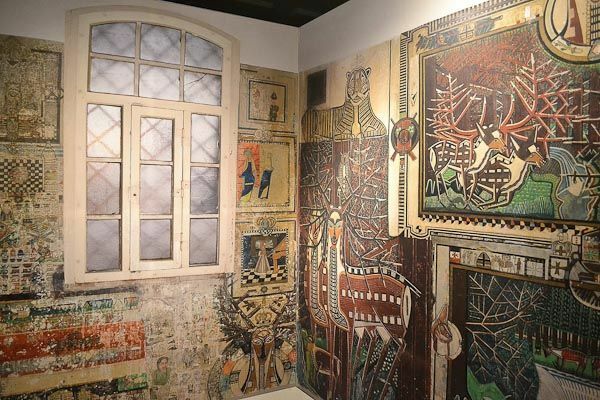 Only a handful of people knew about it until the artworks were published in a book as part of a research project in 2013 and the cell is now protected by law as a cultural monument. 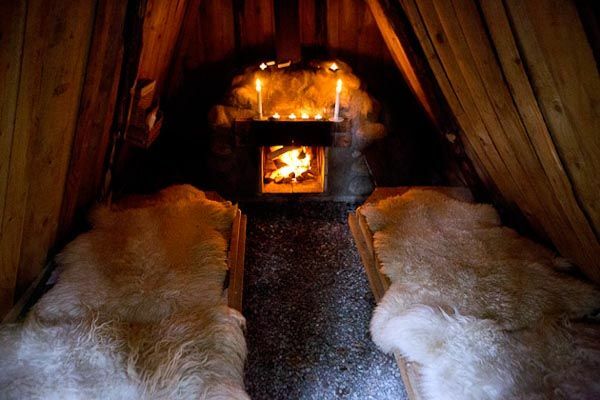 Kolarbyn Ecolodge is ”Sweden’s most primitive hotel”. 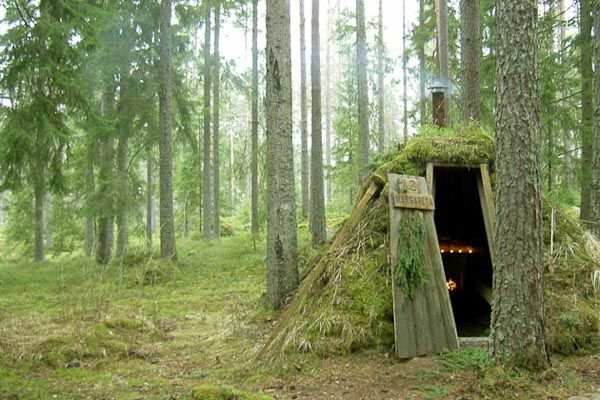 There is no electricity, no showers, nothing fancy at all, just twelve well camouflaged little cabins in between all the trees. All covered in mud and grass. Bilberries and mushrooms grow wild on their roofs. 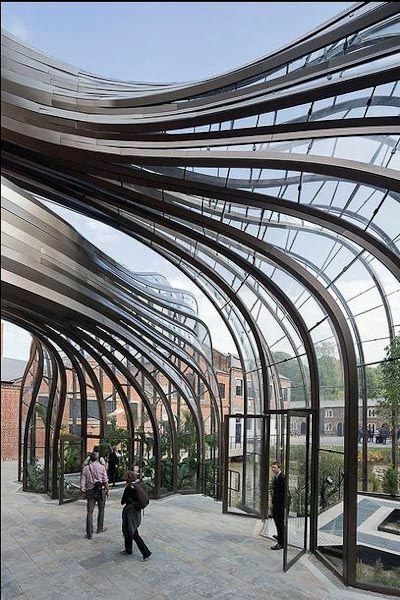 As natural as it can be. Perfect for an adventure off the beaten track. 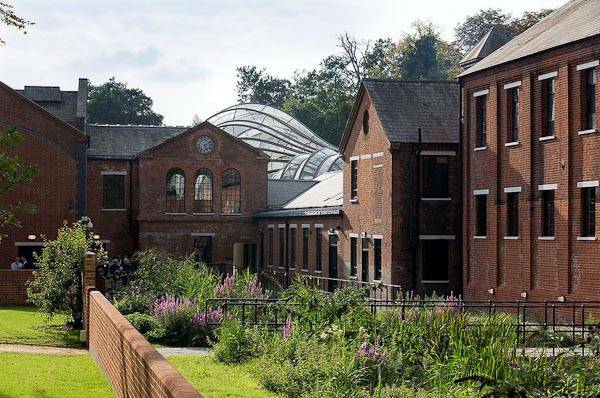 To breathe some fresh air, to enjoy the peacefulness, to take part in free outdoor activities and to experience the local wildlife. While on their very first date, photographer Nick Olson & designer Lilah Horwitz went on a walk in the West Virginia countryside. 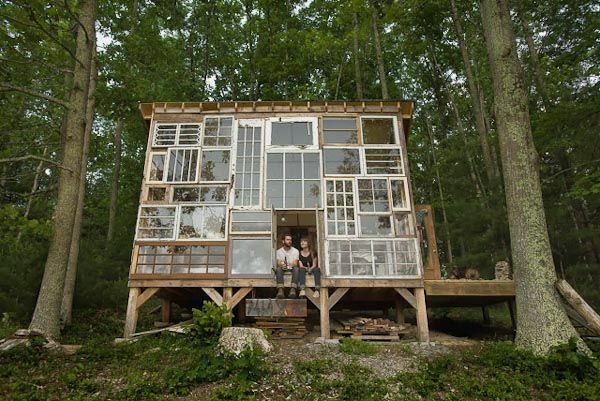 They watched the sunset and wondered what it would be like to live in a house where the entire facade was made from windows, so the sunset would never be contained within a small space. And so a year later the two quit their jobs and embarked on a road trip starting in Pennsylvania to collect old windows from garage sales and antique dealers. 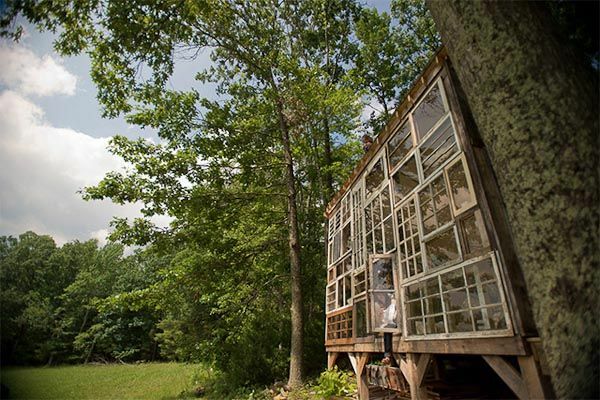 Back in West Virginia they built the glass cabin in the exact same spot where they imagined it on their fist date. 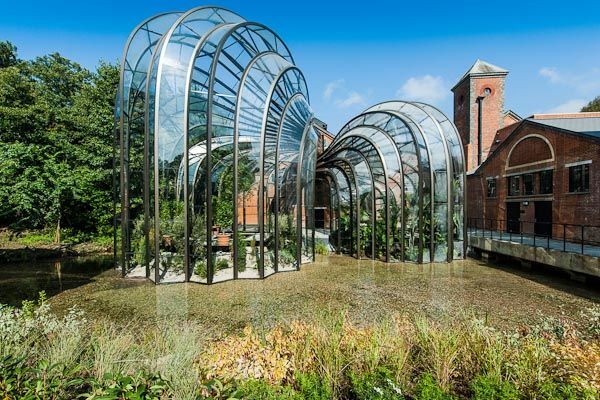 These curvy glasshouses are part of the Bombay Sapphire Distillery in Laverstoke. 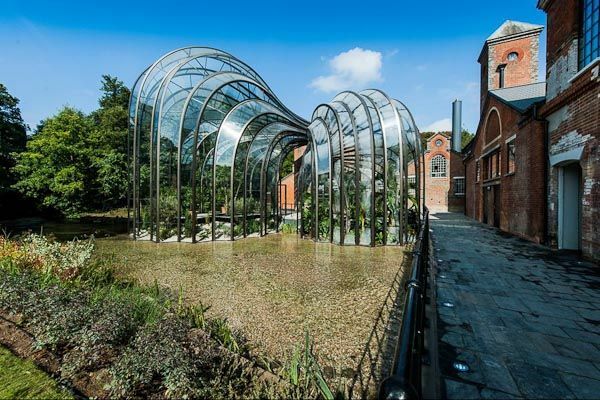 They house exotic plant species used in their distillation process. 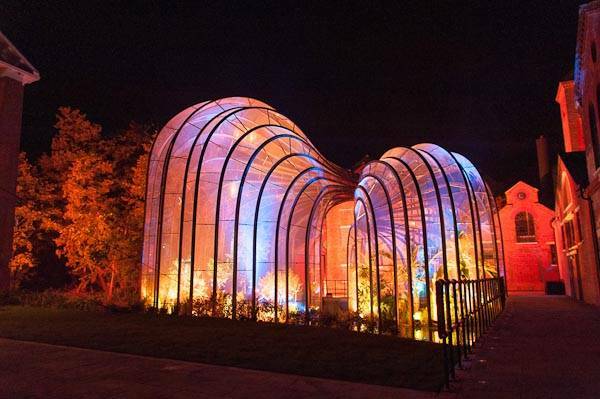 One of the glasshouses has a humid tropical environment and the other a dry temperate Mediterranean climate. 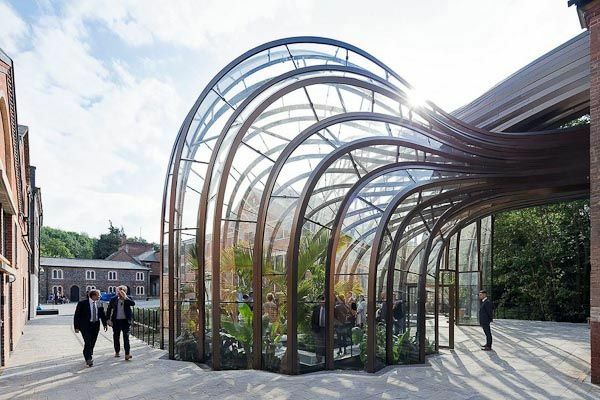 The connection to the still house allows waste heat from the distillation process to be recycled to maintain the warm climates for the plant species to flourish. 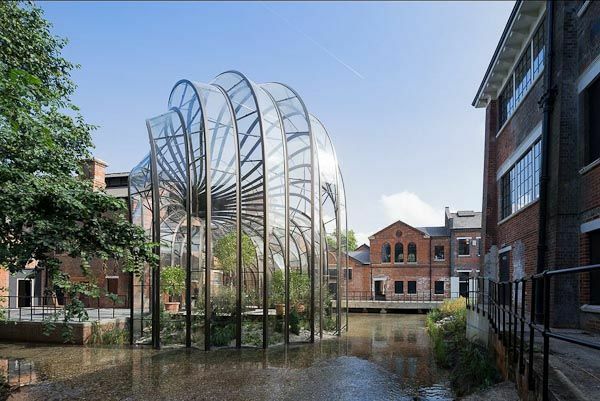 The fluid geometry of these new glass buildings was influenced by recent advances in glass technology and by Britain’s rich heritage of botanical glasshouse structures. 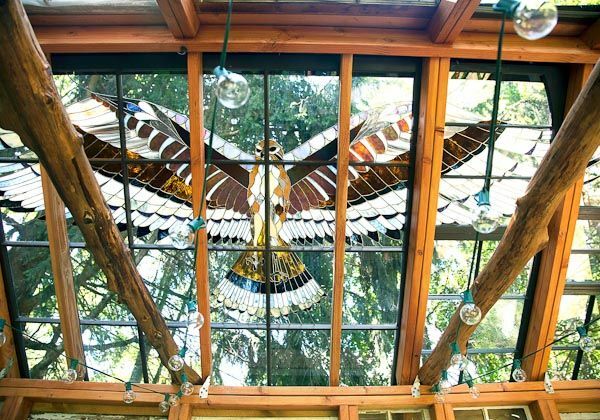 Artist Neile Cooper sells hand made stained glass item on etsy and this is her studio cabin for which she crafted stained glass walls and ceilings that catch the light beutifully. 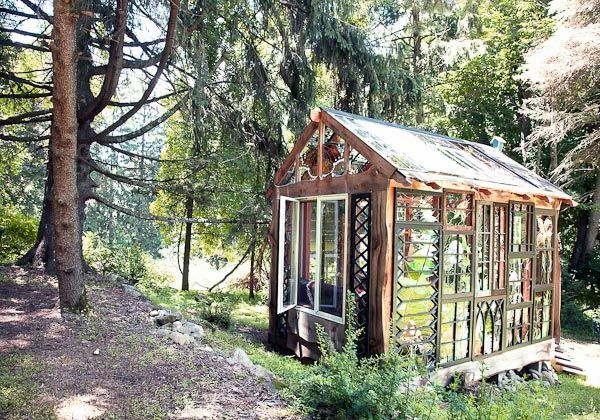 It lies nestled in the pine and maple trees behind her home on a quiet residential street in Sparta, New Jersey. Neile became a stained glass window maker but when the recession hit and the work dried up Neile instead decided to make jewellery.